Physical Therapy plays a crucial part in the management of pain and stiffness related to Rheumatoid Arthritis. Rheumatoid Arthritis is a type of autoimmune disease where the immune system attacks the body’s joints causing chronic inflammation of the joints and joint lines. In addition, rheumatoid arthritis can cause extra-articular inflammation which leads to injury to other organs in the body. As a result, RA is a type of systemic illness and is the same as rheumatoid disease. 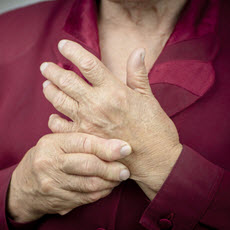 Rheumatoid arthritis can affect multiple joints. This is known as polyarthritis. Usually, RA involves a symmetrical pattern of involvement on both sides of the body. People with rheumatoid arthritis are positive for an antibody called rheumatoid factor in the blood. So simple blood test can detect and diagnose the disease. Genetic predisposition, smoking, and silica inhalation are few risk factors for RA. There are some significant differences in disease progression and clinical signs between Rheumatoid Arthritis and Osteoarthritis. You can read more about osteoarthritis here. RA is two to three times more common in women than man. Although it can occur at any time, middle age is the more common age for RA symptoms to appear. In this article, I want to discuss major treatment options for RA. Early diagnosis of the disease is important. Moreover, recognition of the potential to halt or minimize the damage progression with good clinical states is crucial. 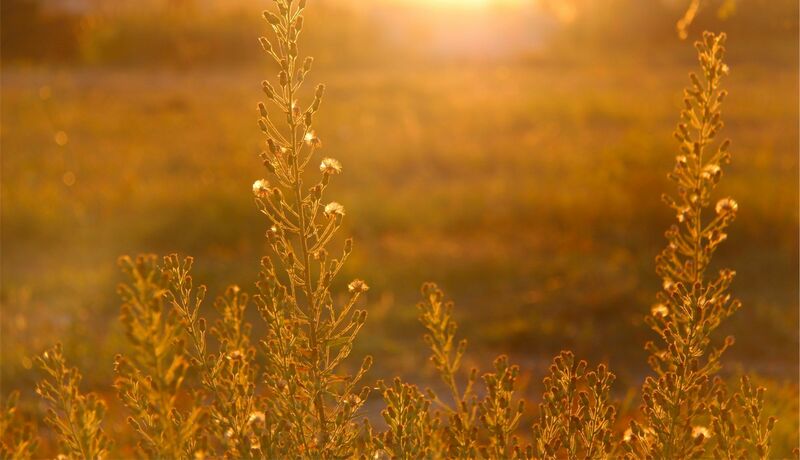 Joint stiffness – especially early morning stiffness lasting more than 30 minutes is a classic symptom of RA. Treatment options for Rheumatoid arthritis have changed dramatically over the past two decades. There are newer medications on the market that can relieve the symptoms as well as reduce the disease progression by half. These medications are called conventional synthetic disease-modifying antirheumatic drug (csDMARD) and biologic DMARDs (bDMARDs). Some of these medications are Arava, Humira, Simponi etc. NSAIDs and corticosteroids can be used to treat inflammation. Please note that these medications have serious side effects and should not be taken without physician’s advice. Some of these medications are contraindicated in pregnancy as they can cause birth defects. American College of Rheumatology (ACR) has thorough guidelines and recommendations to determine appropriate medication to promote desirable outcomes. Also, the best guide for different medication is to talk with a rheumatologist or your primary care doctor. They are the experts in prescribing medications based on your symptoms and your medical history. Rehabilitation is one of the important treatment options for RA. Physical and occupational therapy can concentrate on pain management, reduce joint stiffness, improve range of motion, and improve strength. Furthermore, rehabilitation can help to improve functional endurance and to reduce some of the discomforts. A person with RA can face acute or chronic pain. It depends on disease progression and clinical state of a person. Pain management becomes crucial when the disease is mainly in flare-up stage. Heat modalities like ultrasound, electrical stimulation, Transcutaneous electrical nerve stimulation (TENS) can reduce pain and provide some comfort. Chronic pain can be best managed by cognitive behavioral therapy (CBT), various electrical modalities like contrast baths, paraffin wax baths, as well as sensory re-education therapy. Regular exercises, swimming, yoga, Tai – chi can improve range of motions as well as reduce stiffness. Resistance training can help to improve the strength. Regular aerobic exercise helps to improve your functional endurance. This improved aerobic capacity helps to reduce fatigue level. Hand Exerciser to perform resistance exercises at home. It is important to know your limits while performing resistance training and not to overdo it. That is why it is good to take some guidance from physical therapist or hand therapist specialist. 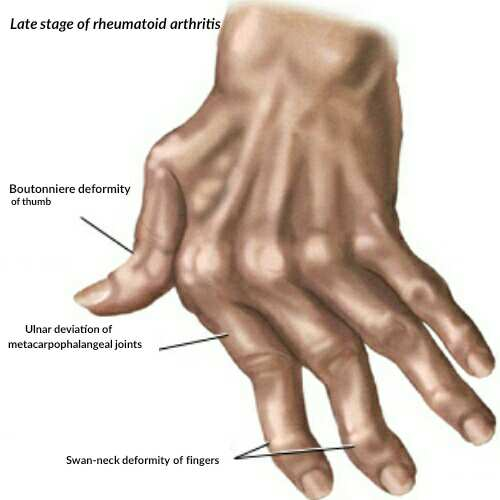 Since RA an inflammatory disease, it leads to different deformities for smaller joints for fingers and toes. Few common deformities are Swan Neck Deformity, Boutonniere Deformity, hammer toe, hallux valgus etc.. However, there are many other deformities that can occur based on the clinical state of RA. Usually, you will see deformities in late cases of RA. In addition to medications, performing regular exercises of hands and fingers are the best way to prevent deformities. There are several braces that can help to ease some pain from these painful joints. Night braces will provide some comfort and prevent sudden painful movement. example of the brace that you can use to help with RA deformities. In chronic cases of deformities, where deformities affect the quality of life significantly, a rheumatologist may consider surgical options. There are several food items that can help with pain and inflammation in case of RA. On the other hand, several foods are found to increase the inflammation and thereby increase the pain. For example, acidic diets like tomatoes can increase the inflammation while food rich in omega three fatty acids like Salmon can reduce the symptoms. However, research has contradictory information on different diets and their effects on RA. In conclusion, I will say this, you know your body the best. So if you think eating something makes your symptoms better, go for it, and if it increases the symptoms, stop it. Just make sure you eat a well balanced and a healthy diet. As this is important to not become deficient on any important nutrient by changing your diet. RA is a progressive disease with remission and flare-up stages. It is important to seek helps for emotional support to manage stress levels and to reduce depression and anxiety. Also quitting smoking as well as getting enough rest are few other crucial tips that can help to manage clinical symptoms. Living with RA can be a constant battle. It is good to have a strong support system and a good amount of knowledge to know where to find help. Below are some resources that can help to make the fight easier. Next PostNext How to Perform Shoulder Exercise Isometrically.